Fall is here, and along with it comes all things pumpkin spice! 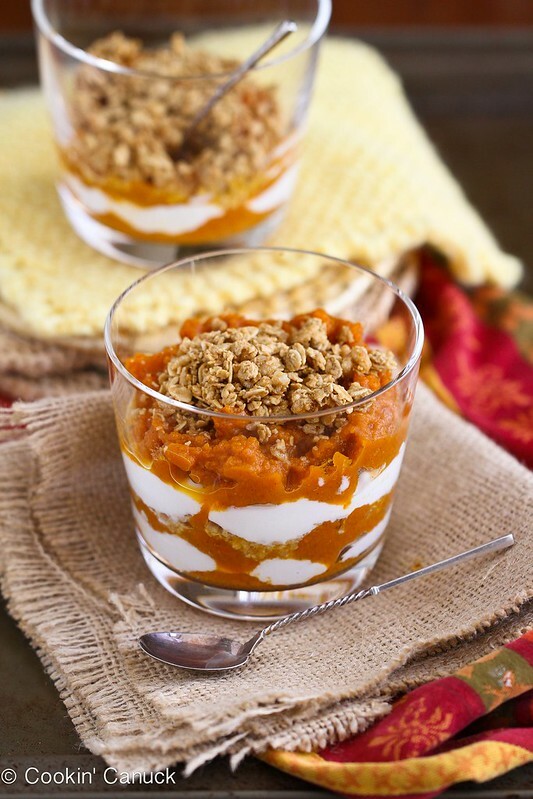 We wanted to find a morning pick-me-up outside of the traditional latte, so enjoy this Pumpkin Spice Parfait recipe! This healthy clean eating recipe is a great seasonal meal! Try it today. For vegans, substitute traditional yogurt for soy yogurt. In a medium-sized bowl, mix together the pumpkin, agave nectar, ground ginger, cinnamon and nutmeg until combined. In two small glasses or bowls, scoop some of the pumpkin mixture into the bottom. Layer with the Greek yogurt, granola, agave nectar, and more of the pumpkin mixture. Serve. Sweeten with additional agave nectar, if you wish. Original recipe and photo from Cookin’ Canuck. Interested in more seasonal menu options? View our Recipes or contact Catering by Seasons at 301.477.3515 or inquiry@cateringbyseasons.com. We craft exceptional events that are seasonal, sustainable and sensational!